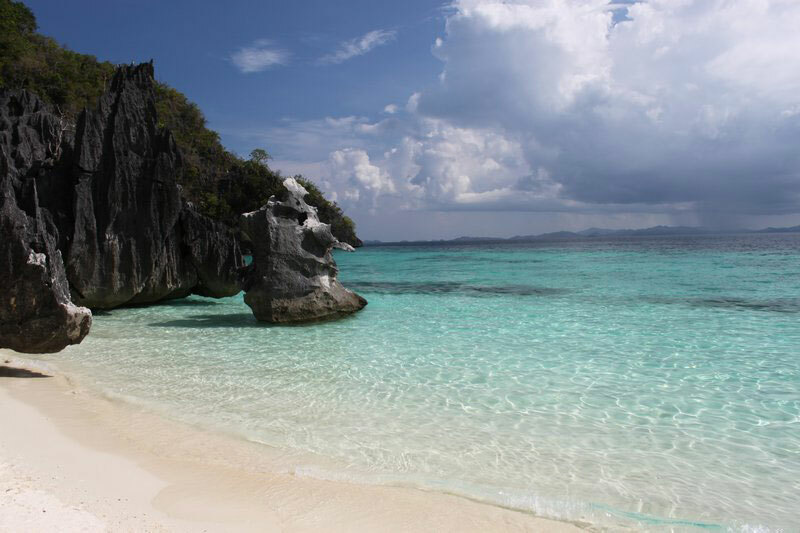 The town of Coron is located on the island of Busuanga which is found in the province of Palawan in the Philippines. With a population of about 40,000 people, its main activities revolve around fishing, agriculture, tourism, and scuba diving. The town is indeed world famous for its diving spots. 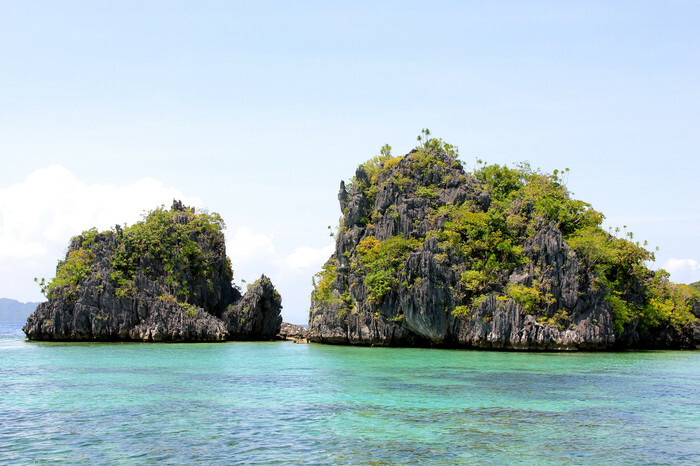 From Coron, divers from all over the world have a quick and easy access to World War II shipwrecks and spectacular reefs, making it one of the best dive spots in the world. Coron remains an authentic destination spared from mass tourism with much to offer. The more adventurous will not hesitate to rent a motorbike and explore the island. 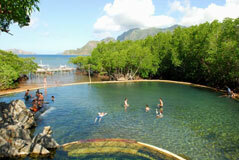 Coron is one of the top scuba diving site in the world and is famous for its WWII shipwrecks. You'll find many dive centers in the town, but at Corto del Mar, we are proud to have our own center in Corto Divers. 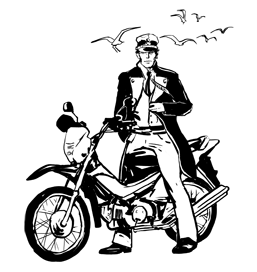 Our experienced and friendly team will make sure you enjoy the best possible experience in a safe environment along with the best equipment available. You just want to relax and lazily snorkel around? No problem! Some amazing underwater sceneries can be enjoyed with just a mask and a tuba: Siete Pecados with its beautiful reefs, the Lusong gunboat wreck lying just a few meters deep, or even Barracuda Lake with its unique layers of hot and cold water. And we are naming just a few! Hop on a Bangka and access the gems around Busuanga island: Coron Island with its Kayangan and Barracuda lakes, Banol and Malcapuya beaches, or the unique experience of Twin lagoons where salt water meets fresh water via a cave. 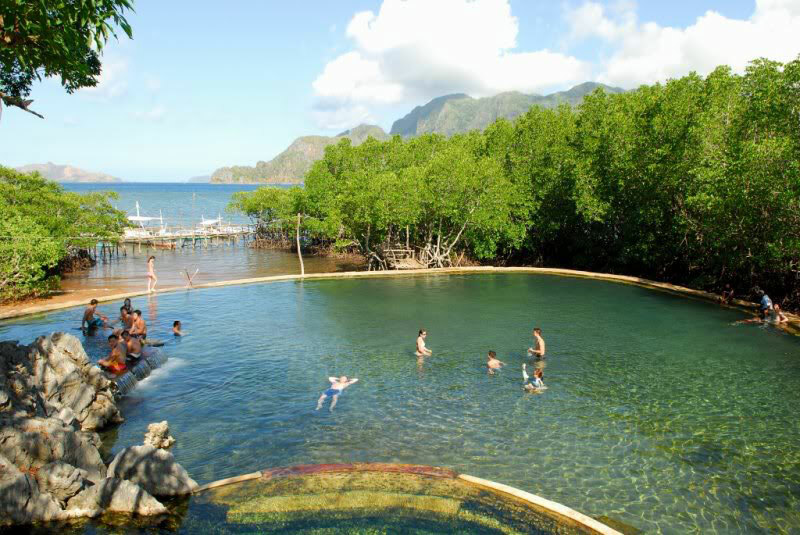 A natural hot spring nestled in the mangrove and a perfect place for relaxing in the evening after a long day of fun activities. 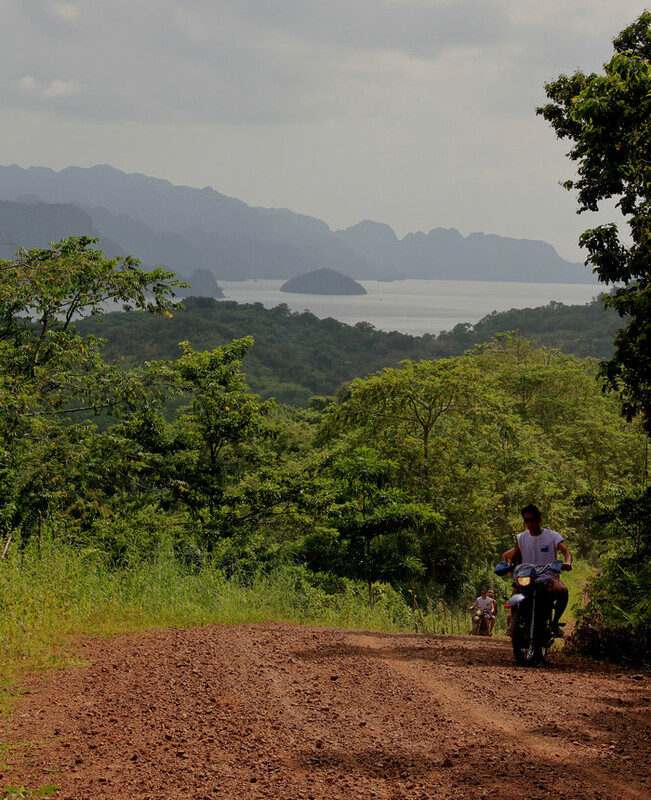 Rent a motorbike and explore the hidden corners of the island such as Marcilla Beach or Conception waterfall. The island hides many surprises and you will be stunned by the warmth and smiles you'll encounter!" 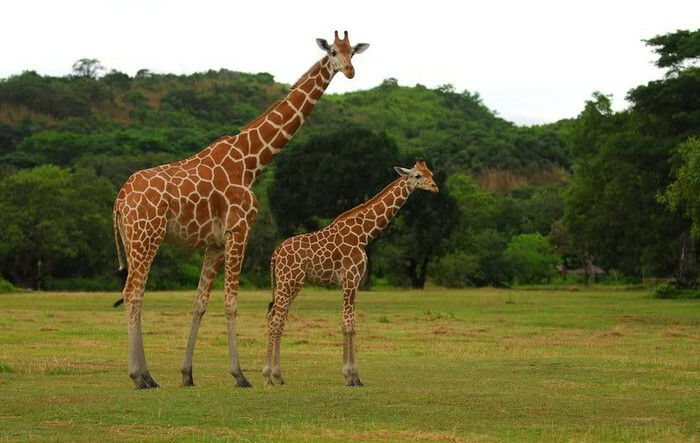 A natural reserve of 3700 hectares boasting more than six hundred wild animals and a marine reserve. The Mount Tapyas is a nice little hike to test your level of fitness which will grant you with an amazing view of Coron. 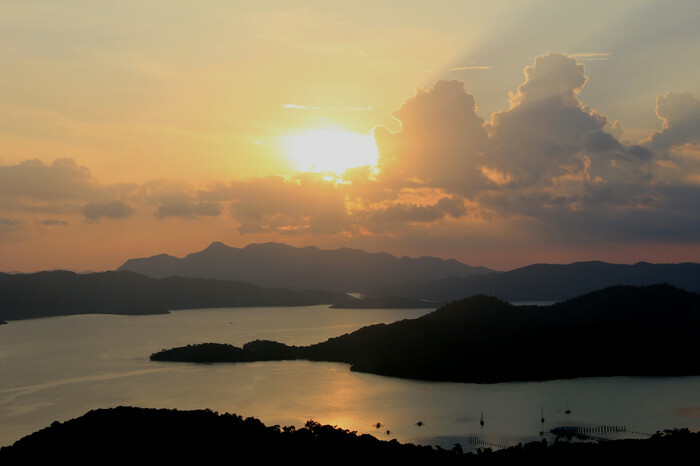 For those with extra stamina, a hike to the highest peak of the island, Mount Dalara, is a must. Although it's only 600 metres high, the climb could be challenging for some. 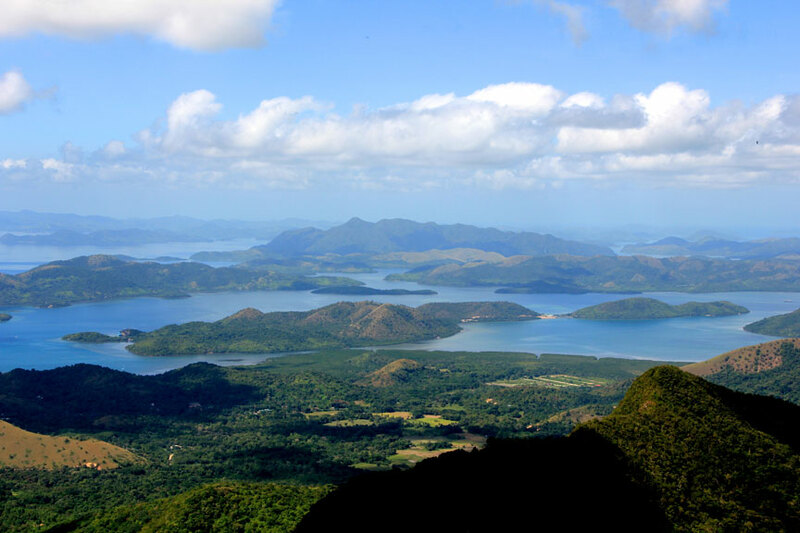 However the 360 degree view around Busuanga is a great incentive for those hesitating.